There’s a new Facebook virus which is spreading and its a picture type link which contains thumbnail of your own profile picture and contains a random URL, which fully loaded with malware. That’s not a new way to trap users in to clicking those links. It is previously used by many spammers which were spreading various kind of viruses through Facebook in past years. So what exactly will happens if you click on that link shown above. 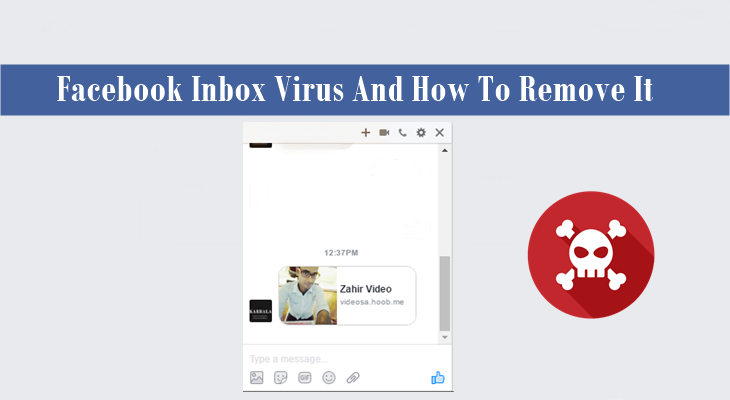 Whenever you click on that link, that malware will inject your Facebook account and start sending spamming messages to your friends exactly the same you receive or sometimes contains pornographic images. What is the cure for this virus if you have clicked on it? If you’re already infected by this malware and it’s spreading from your source then nothing to worry follow these steps to fix it. I would recommend using https://www.eset.com/int/home/online-scanner. It has a free online system scanner and removes Facebook virus on demand. I’m sure after following these steps you’ll be able to remove those viruses. Thanks for reading you have any question your welcome to drop a comment.